"Do you have any plans for reviving other MS series models in the future, such as the SQ-10 or the MS-50? 'We want to give people who have never actually touched an analog synthesizer the chance of experiencing how much fun it can be. Just how necessary such a device would be in the present day is something that we'll decide after seeing the response from MS-20 mini users.'" 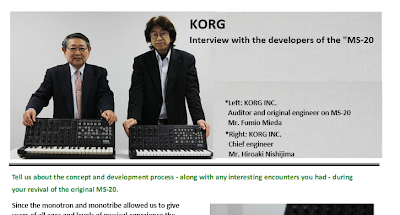 While that quote certainly doesn't guarantee anything, I think it's worth it to say that the past few years have shown a trend within Korg, and that's that they give consumers what they want, if it sells. What started as a fun little toy on the Monotron led to the more capable Monotribe, and the overwhelming demand for bigger, better, and more feature-fledged has led us to the MS-20 Mini. 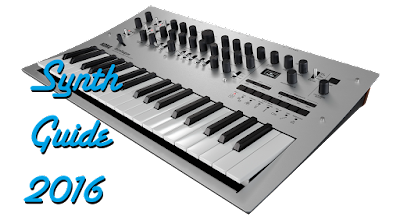 The MS-20 is in high demand with all the buzz of the recent videos and reviews, so there should be a ton of sales of the new synth worldwide. But what could come after the MS-20? I've already outlined some ideas in this article. 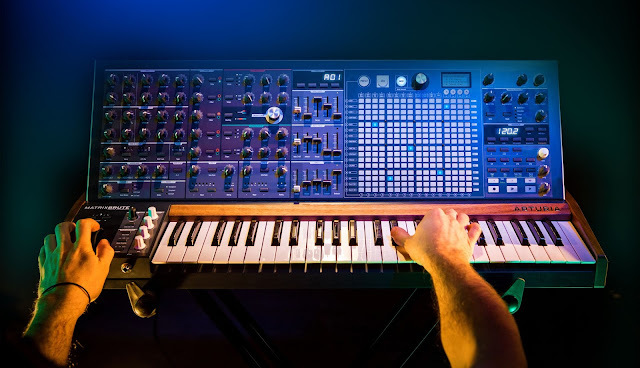 Other topics discussed in the article include challenges in the MS-20's design, why the Mini lacks full MIDI implementation, and if schematics will be released. The interview is pretty short, so why not read the whole thing over on Korg's website?